For MMGM, I am recommending The Year of the Book, written by Andrea Cheng and illustrated by Abigail Halpin. I really enjoyed this book! Although it is aimed more towards the younger end of the middle grade spectrum, it can be appreciated by anyone of any age. One focus of the book is on friendship, as Anna makes a new friend and copes with her friend Laura's befriending of two popular kids who aren't particularly nice to anyone, including Laura. Anna's family, particularly her mother, struggles with acclimating to the United States after immigrating from China. Anna is often embarrassed by her mother's struggles with English and job cleaning apartments as she goes to college. Laura also has family struggles, as her parents often fight, and her father often breaks things and has been kicked out of the house. The Year of the Book is a very enjoyable read, and Anna, despite making many mistakes, is a likable protagonist and narrator. All in all, The Year of the Book is a great read that discusses many important topics (and has several sequels)! For Poetry Sunday, I am recommending "Summer Storm" by Dana Gioia. I hope you enjoy it! For MMGM, I am recommending Hour of the Bees by Lindsay Eagar. While her friends are spending their summers having pool parties and sleepovers, twelve-year-old Carolina — Carol — is spending hers in the New Mexico desert, helping her parents move her grandfather into a home for people with dementia. At first, Carol avoids prickly Grandpa Serge. But as the summer wears on, Carol finds herself drawn to him, fascinated by the crazy stories he tells her about a healing tree, a green-glass lake, and the bees that will bring back the rain and end a hundred years of drought. As the line between magic and reality starts to blur, Carol must decide for herself what is possible — and what it means to be true to her roots. I really enjoyed this book. One of my favorite things about it is the amount of major topics that it discusses. Carol's family is Hispanic, and her grandfather, who suffers from dementia, tries to convince her to be proud of her heritage and ethnicity. This ties in to Grandpa Serge's home, since Carol's family is moving Serge, who suffers from dementia, out of his long-time home and into a nursing facility. One major point of the book is Carol's deciphering of her grandfather's stories as she determines whether they are real or figments of his dementia. The author describes Serge's home and its desert location extremely well, combining majesty and torture (i.e. the heat). The book, narrated by Carol, is an enjoyable read, and it is not particularly depressing, despite discussing things that are exactly that. The book's small cast of characters allows each one to shine. Finally, the ending is amazing, being extremely unexpected and both sad and enjoyable. 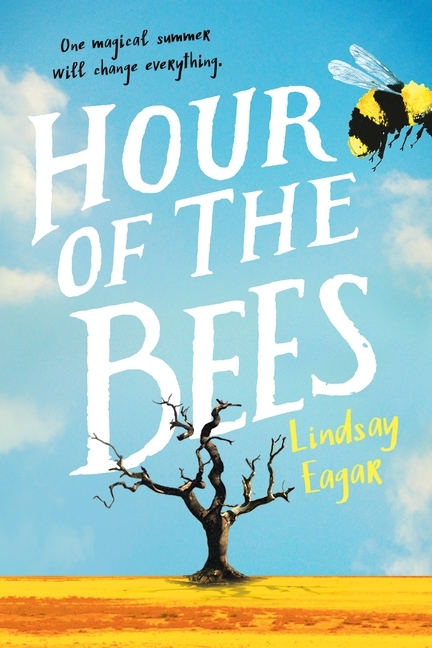 Hour of the Bees is a unique book that will be enjoyed by nearly everyone! For MMGM, I am recommending Jeremy Fink and the Meaning of Life by Wendy Mass. Jeremy Fink has been obsessed with the meaning of life ever since a box from his father arrived at his house five years after his father was killed in a car accident. Jeremy is determined to find the missing keys that will open the box that supposedly contains the meaning of life. 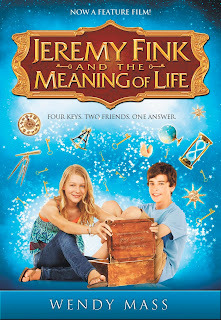 Jeremy and his best friend Lizzy make it their summer quest to get inside the mysterious box. But after getting into some trouble, they get stuck doing community service together, helping an antique shop owner deliver things to different parts of the city. It turns out that these deliveries aren't always ordered, the recipients react unexpectedly, some with anger, some with tears. As Jeremy and Lizzy's summer adventures continue, they begin to discover the meaning of life and themselves along with it. As with the first book of Wendy Mass's that I reviewed (here), I love this book! One of my favorite things about it is how uplifting it is. Even through struggles or conflict, the book is resolutely hopeful and always enjoyable to read. Another great thing about it is the characters. The main character and narrator, Jeremy, has a very unique voice that shows as he ponders life or just talks about his collection of "mutant candy," and his best friend and total opposite, Lizzy, is a great character as well. Finally, I love the unique plot of this book. Jeremy and Lizzy try to open the box from Jeremy's father by searching for the 4 keys needed to open it, and they also ask people what the meaning of life is during their community service (or even outside of it). The twist at the end is amazing, and it seals my love of this book, which everyone should read! 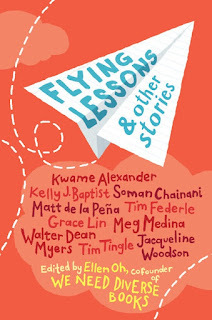 For MMGM, I am recommending Flying Lessons & Other Stories by various authors, and edited by Ellen Oh. 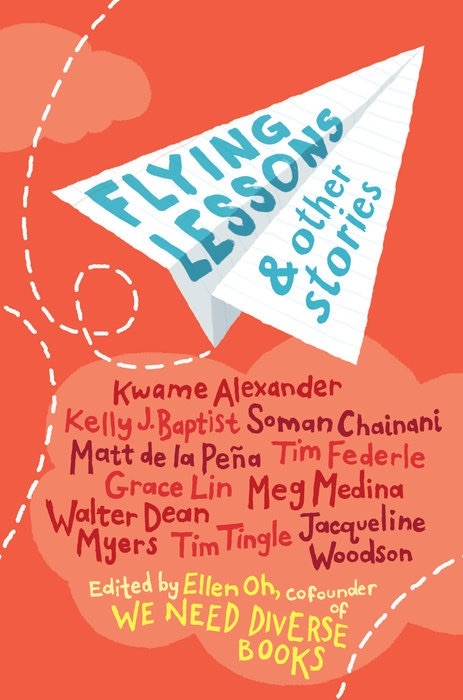 Flying Lessons & Other Stories is not a typical middle grade book. It is a collection of short stories from various middle-grade authors, some new and some well-known, with an emphasis on diversity. This is not shocking, considering that the book is affiliated with We Need Diverse Books (a cofounder of which, Ellen Oh, edited the book). I love this book! Each story is interesting, usually being about 20 pages, the perfect length for their plots. It is very satisfying to read short stories by some of my favorite authors, such as Grace Lin (whose books I have recommended here and here). Several of the authors are even Newbery winners! I also love the diversity of the stories, especially since it is actually a major part of each story, as opposed to simply being a meaningless statement that does not change the story. This book is perfect for anyone, whether in school or just as a personal read, and makes a powerful statement about the importance of diversity in books. For Poetry Sunday, I am recommending "The Waking" by Theodore Roethke. I hope you enjoy it!